A Popular Style and for Good Reason! 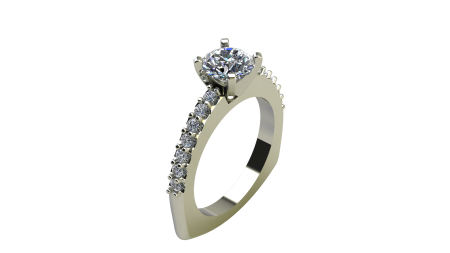 Classy and Exquisite with Prong set Diamonds that Showcase the Center Gemstone. The Euro Shank is also Loved By All!